Ken Davenport (affectionately known as “Big Daddy” by those who know and love him) is a true South Carolina native! He grew up playing sports, enjoying the outdoors, and spending his family vacations along the Grand Strand where he grew to truly love the Myrtle Beach area. 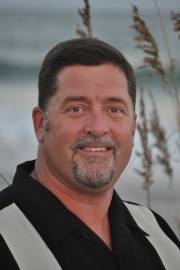 After graduating in 1986 from Presbyterian College with a Bachelor of Science in Economics & Business Administration, Ken moved to the Myrtle Beach area and began his career in the hotel & hospitality industry. After creating and running a successful marketing campaign for over 20 years for a local eatery Ken and his lovely wife decided it was time to start a family and move on from the hospitality business. A good friend of Ken’s from their local church suggested that Ken could have a bright future in the real estate business. After much thought and prayer Ken decided to take a leap of faith in 2005, get his license, and never look back! Eleven years later with experience in re-sale properties, New Home sales, and with his extensive knowledge about the area Ken “Big Daddy” Davenport has become a local staple among the residents of the Myrtle Beach area. He never meets a stranger, and instantly makes anyone looking to relocate to the area feel at ease about taking their “leap of faith”. Ken has been fortunate enough to help over 150 families make their dreams of homeownership come true, and he would love to make you his next neighbor and add you to his extended family of clients & friends! "Ken Davenport facilitated the sale of my home, while I was in WV. His professionalism, market knowledge, and communication skills are top notch! I couldn't be more impressed with his abilities. I highly recommend his services. Thank you, Ken!" "It was a pleasure to work with Ken in the selling of our house. This was the sixth house we have bought and sold. It was by far the least stressful of them all. I would highly recommend Ken to anyone wishing to sell a property. Many thanks to Ken and the Beach Realty Group"
5***** "Ken Davenport is the best realtor that my wife and I have ever worked with. We were searching for homes online from our previous home in Pittsburgh and Ken was very patient and understanding of our needs. When we arrived to look, he actually knew exactly what we wanted and showed us the perfect house which we bought immediately." We were so fortunate to have found Ken Davenport. As our Realtor, he helped us find the right house in the right neighborhood . He was patient as we went to look at homes. In short, he was always on our side working to make our house purchase as simple and successful as possible. Ken has been there every step of the way. He has always answered every call or email no matter what time of day or night it was. His professionalism, mentorship, knowledge, honesty, and hard work ethic are much respected and appreciated. I never felt that he was just trying to sell me a house, but that he was a mentor to answer my questions and help me to make the best decision for my family. I now consider Ken a friend and would highly recommend him to anyone that is searching for a new home. 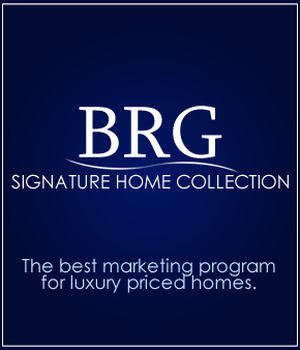 Thanks again to Ken Davenport and the BRG Real Estate Team for being such a pleasure to work with. Ken Davenport was wonderful...after a short time with us he knew just what we were looking for. We became fast friends. Our very first day house hunting with Ken, he found us the house we were looking for. Since we live 600 plus miles from Myrtle Beach Ken would stop by our construction site and keep us updated with pictures. It was great to be able to see the progress. He also kept up or should I say rubbed in the beautiful weather conditions in Myrtle Beach while we in Pennsylvania were freezing and shoveling snow. We really enjoyed that. We highly recommend Ken if your looking for your perfect home.